Peninsula Mines (ASX:PSM) has completed detailed ground magnetics at the Ilwelol mining area at the Ubeong zinc-lead-copper project in the highly mineralised Taebaek Basin in eastern South Korea. At Ubeong, PSM has seven granted exploration and mining tenements and has applied for multiple tenement applications over an area of more than 10km x 10km of highly prospective limestone-skarn units. 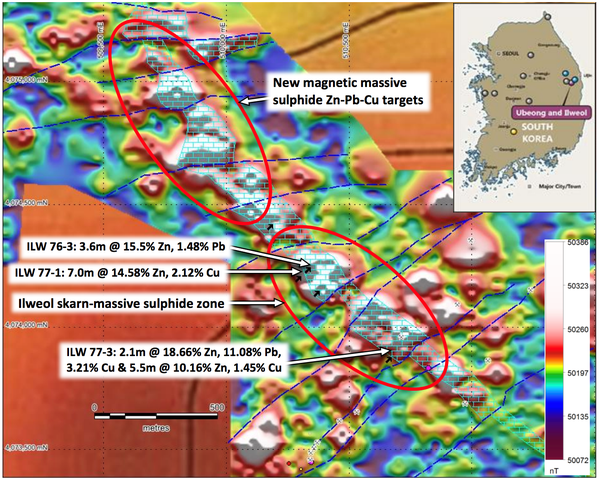 The company reports it has identified new magnetic anomalies/massive-sulphide targets over a two kilometre strike length of the mineralised zinc-lead-copper skarn at Ilweol — effectively doubling the strike length of the Ilweol zinc-lead-copper skarn target. It is confident that the new magnetic anomalies identified will also be associated with high-grade sulphides, adding to identified massive sulphides. High-grade massive zinc-lead-copper sulphides are associated with magnetic-highs in the one-kilometre strike length zone of previously identified mineralisation and KORES drilling intersections at Ilweol. The recent ground magnetics identified similar magnetic highs along extensions of the skarn horizon to the northwest that are now the subject of soil sampling to define drilling targets to locate additional massive zinc-lead-copper sulphides in this highly prospective, two-kilometre, zinc-skarn corridor. The detailed ground magnetics has been completed on 100m spaced, north-south oriented, lines, with continuous readings recorded along the lines. and 5.5m (4.0m TW) at 10.16% zinc, 1.61% lead, 1.45% copper from 263.6m. - ILW 76-3: 3.6m (2.5m TW) at 15.5% zinc, 1.48% lead from 181.3m. PSM Managing Director Jon Dugdale said, “The correlation between magnetic anomalies and previous, high-grade, zinc-lead-copper intersections at Ilweol gives us great confidence that these new magnetic anomalies will also be associated with high-grade sulphides. Soil sampling is in progress across the new magnetic anomalies to define further diamond drilling targets. 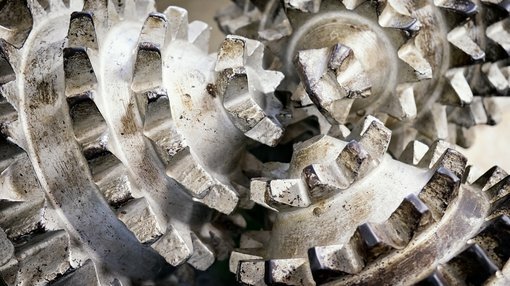 These are planned to drill in conjunction with drilling to follow up the KORES high-grade zinc-lead-copper intersections.